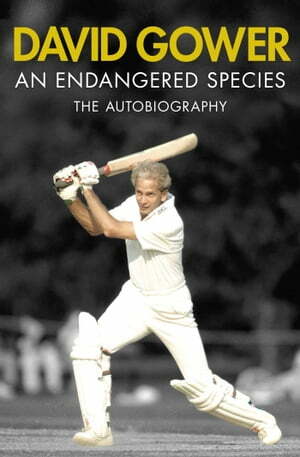 Collins Booksellers - An Endangered Species by David Gower, 9781471138997. Buy this book online. As a cricketer, David Gower was famed for the elegance of his strokeplay as one of England's greatest batsmen and for his superb fielding. As a captain, he led his country to Ashes success, yet some queried his application because it all seemed to come to him so easily and effortlessly. But that was never the whole story: Gower was always committed and a great competitor, as this fascinating and frank book, looking back on his life and career, shows. Once he retired from the game, Gower built a new career for himself, first as team captain in the long-running TV comedy series They Think It's All Over, and then as an astute and charming presenter and commentator with Sky Sports. After more than 30 years as one of the most popular figures in the game, Gower now reveals there is so much more to his story than the cliched image of 'Lord' Gower flying in his Tiger Moth. He is a man of great insight, determination and drive, but who also knows there is always more to be had from life.